Endodontic treatment (root canal) is necessary in the case of irreversible pulpitis, gangrene or chronic inflammation around the apex. In our clinic we attach great importance to tooth rescue. Extraction is a last resort. Rebuilding your tooth is the solution most comfortable and most economical. Endodontic treatment can proceed in several ways. We try to make it done in one visit. It happens that the cure canal requires two visits, occasionally required more visits. Taking X-ray diagnostic photos is a first phase of the treatment. Two digital X-ray machines are in a clinic, so this activity is performed on the spot in the course of one visit. A next step is anaesthetization guaranteeing the total painlessness of the further treatment. Next we are effecting opening the chamber of the tooth in order to remove dead and real pulp. Next step is finding estuary of canals. So that the treatment closes with the success all canals must be found and carefully cleaned. It is a difficult and laborious stage. Using the microscope or the dental magnifying glass is big facilitation. In order not to leave not-cleared canals is important in order to get to know their length. 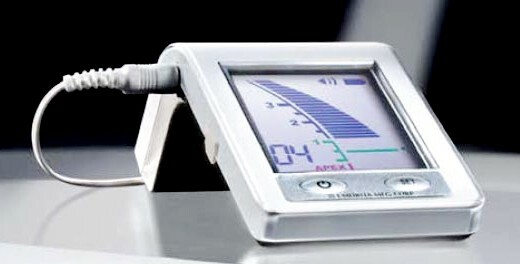 device which performs the length measurement of canals is endometer. 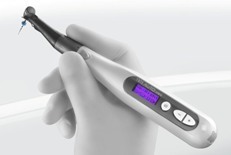 We apply in our clinic two endometers: Morita – ROOT-ZX-MINI and Apex of the NSK production. Knowing the distribution and the length of canals, we can enter into their mechanical study. 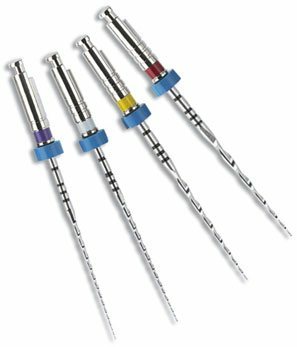 We are using the next so-called device microengine endodontic Tri Auto mini of the Morita brand and NiTi tools. It is important, that the microengine is co-operating with the endometer, causing performing the precise length measurements of canals. Electronic connecting these two devices is giving us the possibility of the constant scrutiny on which he is finding depths oneself tool and how far we have still to the top of the channel. Automatic automatic_reverse, full control of the speed of turnovers prevents before too deep perforation of the root. Considerably it is improving the precision and the safety of the treatment. Correctly analyzed canal should have a shape of the cone and be appropriately wide. After analysis the canals intensive lavage and filling them are taking place. 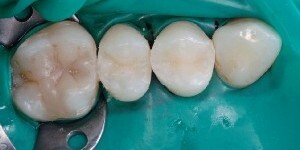 By infected canals before the ultimate filling we are using the rinsing Nanocare AgAu modern system – this preparation contains strongly antibacterial nanomolecules of gold and silver which spontaneously are penetrating even into side canals the most bent and the root, being delta apart from the scope of operations of simple canal tools. We are achieving the tight filling applying the system of the liquid gutta-percha to the warmth which we are condensing in the canal. 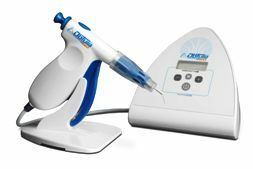 Devices applied by us of the Obtura brand are guaranteeing the highest air tightness of the filling are making it impossible you will close vacancies, in which he can develop difficult to cure oneself recurring infection. 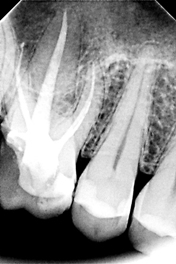 According to contemporary procedure after-treatment endodontic performing the prosthetic reconstruction of the treated tooth in the form of the crown or the contribution and crowns are shown. It most often regarding molar teeth and before-molar teeth which are staying after drilling in part central considerably weakened. Peculiarly at big reconstructions a great threat of breaking the wall of the tooth, microcracks and the bacterial leakage exists. One should also remember that dead teeth are weakened, not-nourished, walls of the tooth are fragile and willing cracks. Therefore is recommended in order to finish the treatment with the laboratory crown or the crown with the root contribution. Endodontic treatment is difficult for the doctor, work in enlarging in the forced position by the longer time, necessary presence of the endodontic assistant the purchase and the ability of using many devices cause that they are these are costly treatments. However actually cured the tooth can serve still a lot, many years and it are Priceless!